Jesse Watters debated a protester from ANTIFA, a group calling for violence against the “Trump- Pence regime.” Watch the video below! Kevin from the Boston ANTIFA branch penned an open letter on the anarchist site ItsGoingDown.org urging liberals and progressives to violence to take down President Trump, Fox News Insider reported. “Was it in self-defense when you firebombed a limousine during the inauguration?” Watters asked. 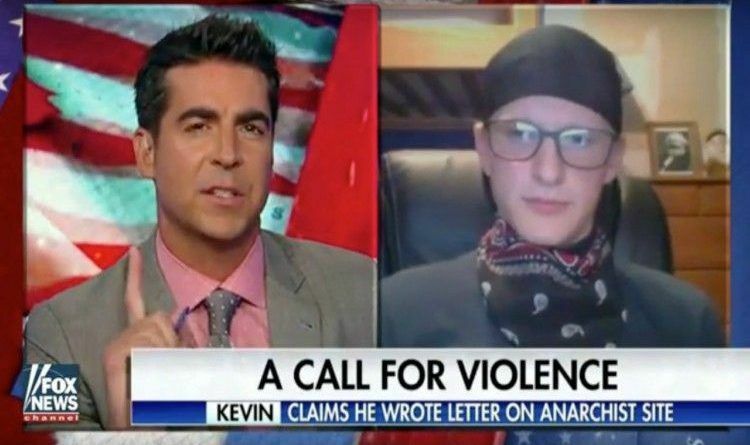 “A lot of violence committed by so-called ANTIFA members is actually committed by these right-wingers who basically seek to make us look bad,” Kevin told Watters. “I didn’t know horses could vote,” Watters chuckled. The protester added that the horse is a tool of the police, who have been “increasingly racist and xenophobic” under the Trump administration.